Normally I post light- if at all- on weekends. But I came across this old (written in 2001) article last night and I read it twice. I have never read such a sad, train-wreck, confirms my distrust of fundamentalist religions, did I mention sad article in my entire life. 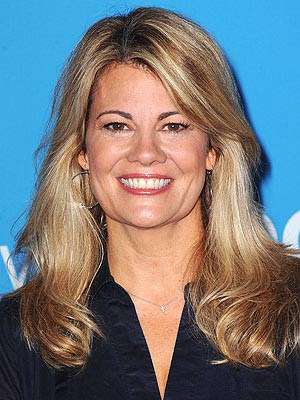 This was written (again...it's old...way back on '01) by Lisa Whelchel. You know, from Facts of Life? Who then became a super conservative religious writer, in the media regularly for her controversial parenting tips. (Though I admit I don't think hot sauce is really all that big of a deal. But to each their own. Call it controversial or a calling from God or good parenting or bad parenting or whatever...so not the point of this post anyway.) Anyway, I just sort of happened upon this story. I have not kept up with her- she looks fantastic though. This is Lisa's own story of how she married her (now divorced from) husband. I’m so thankful that I waited to follow the Good Shepherd’s voice to find the man I was supposed to marry. I must admit, though, that it didn’t happen quite the way I imagined it would. I mean, come on, what daughter wants her Father to choose a husband for her? Steve, and I became friends when I was assigned to a prayer group that he, as a pastor, was appointed to oversee. His boss, Pastor Jack Hayford, had organized “affinity” groups in our church to provide a safe place where members who were in the entertainment industry could be open and transparent about their prayer needs. Our group consisted of four married couples, Michael and Stormie Omartian, Gabri Ferrer and Debbie Boone, Dominic Allen and Charlene Tilton, and Bruce Sudano and Donna Summer. Other than Donna’s manager, Susan Munao and the other pastor, Minnie Whaley, who was an elder in every sense of the word, Steve and I were the only single people in the group. Looking back, I can see that it was a set-up right from the start. Our group met once a month, and every month I had the same prayer request. At twenty-two I was ready to get married and start a family, and I wanted to find God’s choice of a husband for me. Steve and the others were dutiful to pray. I should have known something was up when Steve asked if he could lay hands on me and pray. Just kidding! Over the next two years, Steve and I began to spend a lot of time together, and we became good friends. (Interpretation: I was not at all attracted to him.) Every so often, he would take me out for “the talk”—the one where, because of his integrity and desire not to take advantage of his position as a pastor, he would confess that he was feeling more for me than friendship. I would assure him that although I thought he was a really nice guy (girls, you know what I mean), I was not feeling those same stirrings. We would then resolve to continue going out as friends as long as it didn’t get too uncomfortable for either of us. So now I had all my little ducks in a row. Well, actually, I was not so sure about one little duckie—Steve’s feelings. He was so sweet; I just couldn’t bear the thought of his feelings getting hurt because of unrequited love. This time I initiated “the talk.” As gingerly as possible, I suggested that we not spend as much time together. I encouraged him not to take it personally; after all, I was planning to break up with my boyfriend as well. I explained that I was going through a personal revival with the Lord. I was even considering joining YWAM (Youth with a Mission) on a mission trip for a year after the last taping of The Facts of Life. I told him that it would be best if I just concentrated on my relationship with God for a while. There. I had said it. Where did that come from? Talk about out of the blue. Who had sneaked into the restaurant, kidnapped “Mr. Milquetoast,” and replaced him with “Mr. Big”? I was speechless, which is saying a lot. (Actually, it’s not really saying anything, is it? Oh, never mind.) I didn’t know how to reply, especially since there was something incredibly attractive about what Steve had just done. I decided that it was best not to respond at all, so we ordered dessert and pretended that the entire conversation hadn’t happened. Many weeks passed, Steve and I as friend-ly as ever, while I continued to wholeheartedly pursue my relationship with God. I registered for a seminar at our church conducted by a visiting evangelist. The last session was to be an anointing service. There were hundreds of people in attendance, and she was praying for them one at a time, so the rest of us sat waiting quietly on the Lord in worship. I had my hands lifted to the Lord as a gesture of praise when I felt the sensation of a gentle weight descend upon me. I recognized this feeling as the presence of the Holy Spirit. And because this kind of thing doesn’t happen every day, or even every year, I knew enough to pay attention. As I waited expectantly, the thought popped into my head, Would you ever consider marrying Steve Cauble? I knew this was God talking because it was the last thing I would have ever thought to think on my own. My knee-jerk response was: No. Are you kidding? I shrugged the Holy Spirit off my shoulders and got back to the business of worship. But the thought would not go away. So I purposed to ponder it in my heart, but I certainly was never going to tell Steve about it. Wow! This guy doesn’t say much, but when he does…it’s a doozy. I laughed nervously. “Funny you should mention that,” I said. Then I told him what had happened earlier at church, and we agreed that this was probably something we should pray about. Yeah, I know, pretty discerning, huh? In my opinion, this called for more than praying—this called for fasting! If you know anything at all about me, you know that something has to be mighty serious for me to think about giving up food. But considering the fact that I had suddenly lost my appetite, it wasn’t such a tough decision. Proverbs 11:14 says that safety comes with a multitude of counselors, and during the following week, I met with every pastor or elder I could schedule an appointment with. They all loved Steve and me and thought this was a fabulous idea. But by the time Steve got back from his trip, I was more confused than ever. How could this be God’s will? I mean, weren’t you supposed to want to kiss the guy you were going to marry? And I really wanted children. How was I going to do that? We concluded that what we really needed was council from the Big Kahuna himself, Pastor Jack. He would know what we should do. So Steve called him up, and he invited us up to his house after the Sunday evening service. We arrived just as Pastor Jack and Annas’s favorite television show, “Murder She Wrote,” was beginning. We had to sit there trying to act interested in a show that anyone could figure out within the first five minutes. I wanted to shout, “The butler did it! Now, can’t we get on with something a little less trivial, like the rest of my life?” But I stifled my impatience—thank goodness I’m an actress. Mercifully the program ended, and it was time to receive from the hand of the master. We gave a full account of all that had transpired over the past few months. We covered the friendship aspect of our relationship; we addressed our age difference (Steve is thirteen years older than me); we talked about what we thought the Lord might be saying; and we reiterated our desire, above all, to do God’s will. The only thing I failed to mention was the tiny detail of the lack of physical attraction on my part. Pastor Jack paused just long enough to break into a broad smile before he delivered his blessing, “Sounds good to me,” he beamed. “I think you should go for it!” What? That’s it? No alliterated three-point sermon? No big words that I would have to look up when I got home? I was stunned. Before I could react, Anna was offering me a piece of strawberry cheesecake, and we were talking about Jessica Fletcher and that stupid television show again. Help! I’m on a freight train, and I can’t get off. Little did I know that this “little engine that couldn’t” was about to become a bullet train. Steve left the next day to accompany Pastor Jack to the Foursquare denomination’s district conference. After Pastor Jack was introduced, but before he began to preach, a huge grin burst across his face. Steve was like a son to him and he couldn’t wait any longer to act the proud papa. “Before I begin,” he began, “I have some happy news to announce. Our very own Steve Cauble is engaged to be married to Lisa Whelchel.” Gasps and applause erupted from the crowd. “Come again,” I said, hoping we just had a really bad connection and I hadn’t actually heard him say that we were engaged and I didn’t even know about it. He tried to explain that there apparently had been a little miscommunication: We obviously hadn’t made it clear to Pastor Jack that we had gone to him for his counsel, not his blessing. “Yowser, Bowser!” he exclaimed. When Steve got back to town, we met for dinner. I anticipated an intense evening of wrestling through our options as we figured out how to clear up this terrible misunderstanding. I was not prepared for how excited Steve was. Did he sincerely believe that just because all of Foursquaredom was thrilled about our engagement that I was too? Apparently so, because the next thing he said was, “Well, I guess if we are engaged, I ought to buy you a ring.” Why was it so hard for me to say no? Did I really think that I could avoid hurting Steve’s feelings forever by continuing this charade? Sooner or later, I was going to have to do the loving thing and break his heart. I was able to postpone the inevitable one more time when he said, “My friend Doug bought Christa an engagement ring at the mall. Let’s go look there.” Whew, I was off the hook. The truth is, I’d known for a long time what kind of engagement ring I wanted. I also knew—no offense—that I certainly wasn’t going to find it at the mall. I was sure that it would have to be designed specifically for me. I mean, really now. As we drove to the mall, I rested secure in my superior taste in jewelry. The man behind the counter asked me if I had anything in particular in mind. “Well, frankly, I do. But I’ve never actually seen the ring; I’ve just imagined it. Perhaps it would help if I drew it.” The gentleman handed me a piece of paper, and I proceeded to draw an emerald-cut diamond in the center surrounded by two triangular, trillion cuts on each side. The jeweler studied the slip of paper and then reached into the case and pulled out a ring. “You mean this one?” he asked. I spent the next three days in bed, alternately pouring over these books and pouring out my heart to God. This had gotten way out of hand and had escalated into a crisis of faith. It was more than an issue of whether Steve was the man I was to marry; this was now about whether God was the God I was to serve. The way I saw it, either this was all a big joke and God had capriciously manipulated our lives for His own sick entertainment, or this was all my fault for not having the courage to say no or this was God’s plan for my life and I was destined to marry a man for whom I felt very little attraction. To me, all the options were devastating. Because either my past was all a lie or my future was to be lived as one, I had to find the truth. What did I know for certain? Let’s start at the beginning: Okay, I believe there is a God. I have met Him personally, and He has proven Himself trustworthy in my life many times. I know that I know that He adores me and that He is good through and through. He is stronger than the devil’s schemes, and He is more powerful than circumstances, coincidences, or cowardliness. I could rest in this because I also knew for certain that I had sought His will with a pure heart. The choice was mine. Was I going to trust God or trust my heart? I knew the decision I had to make, and I felt an unexplainable peace about it. When I boarded a plane home, I was wearing my new engagement ring and carrying the “Now That You Are Engaged” book I had purchased earlier in the week. I figured that since I had decided to marry this man whether the feelings were there or not, I could probably use all the help I could get. Before I realized what was happening to me, somewhere up there around 35,000 feet, I had completed not one, but two legal-size sheets of paper filled with unexaggerated hyperbole extolling the many virtues of Steve Cauble. As I reread my list, something totally unexpected happened. I hope at least a few of y'all read that so we can please discuss. I mean...where do I even start? A 20-something tricked or pushed or bullied (take your pick) into marrying a man who was what...35-ish? To whom she felt zero attraction? Whom she had to convince herself she was "in love with," which doesn't at all seem like love if you ask me. Oh the sadness of it all! Have you ever read of something so bizarre? I hope that Lisa and Steve are now both able to find true love that excludes misuse of pastoral powers. Really interesting article. I watched her compete on Survivor after her divorce and you could tell her failed marriage really had caused her some emotional damage. That's just crazy! I'm going to be 22 in a few weeks & I cannot even imagine getting married yet, let alone having all that happen to me! Insanity! So interesting! I didn't realize she was on Survivor until I started researching this. I hope she gets good therapy- anyone would need it after a marriage that long! I know!! I cannot imagine getting married that young!! I have no idea who this woman is, but......God gave us free will. You can put your faith in God but that doesn't mean you turn over your decision making abilities and common sense too. If her heart was telling her she shouldn't marry him because she didn't love him, she should've listened to it. Always trust your gut instincts ladies! That's the true voice of God talking. Putting your faith in God does not mean giving up your free will, or your decision making abilities to a higher power or another person. If her heart was telling her not to marry him, she shouldn't have married him. Trust your instincts ladies! That's the real voice of God. Wow, I had never heard this story before, crazy! I remember a woman I used to work for telling me about all the times her husband witnessed arguments between parents and brides (he was a church organist) where the parents strong armed the bride--"we've already paid out all of this money". If you think about it, Princess Diana was bullied on going through with the wedding too, so sad. Ugh! I feel like the easiest thing is attraction...so if you can't even start with that, seems like your marriage is going to be an uphill battle from the very beginning. Wow. Crazy article. It seems insane that she married someone for whom she had zero attraction. I'm not a religious person, but it seems odd to me to have to consult church elder to get their blessing, but even more so because you need guidance about who to marry! It worries me immensely to see someone hand over all decisions to church elders and God. Wow this is just strange. I can't imagine having to go through such an experience. So weird. She is a dingbat. Yikes! I also watched her on Survivor and remember her being somewhat traumatized by the marriage. I was part of a church in college where I feel there was definite and similar "misuse of pastoral powers" - more than one of my friends was taken aside by a church member and told who God had "prophesied" that they should/should not date/marry/etc - my friends' own wills/feelings/agency were completely irrelevant. What was purportedly godly advice felt very dysfunctional, pushy and downright creepy at times. I walked away after a couple years and never looked back. So glad to have found your blog and I'm headed back over to read lots more posts!